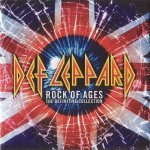 Def Leppard played a show on the Rock Of Ages tour in New Orleans, LA on 24th July 2005 and a fan review was sent in by Skye. The show took place at the UNO Lakefront Arena. Eight other fan reviews are available from this show. "Joe didn't do a lot of talking during the show, though. On the floor someone had a Union Jack flag that he acknowledged saying something to the effect that he is glad we are on the same side. When they came out to play Two Steps Behind Joe started playing a blues song that I did recognize but for the life of me cannot remember the name of it. I think the rest of the guys got a kick out of it since Phil was laughing at him by the time he finished. Joe went on to mention that they had been out on Bourbon Street the night before staggering down the street. That had to be a sight."